Chanel Coco Mademoiselle EDT is suitable for a romantic dinner, theater or dance. Coco Mademoiselle Eau de Toilette 100ml. from Chanel, over which had worked famous perfumer Jacques Polzh. Unlike perfume Coco Mademoiselle, perfume brand turned more gentle and natural. Brighter in the notes of the fragrance manifests freshness and softness. Base notes of Coco Mademoiselle Eau de Toilette will give you the extraordinary lightness. Before such a seductive little water is simply impossible to resist. Home fragrance Coco Mademoiselle Eau de Toilette opens in front of you smells of intense freshness of bergamot and orange, which are animated easily grapefruit. Perfume literally lit from within by fruity notes of lychee, which forms the heart of the flower Coco Mademoiselle Eau de Toilette. Here you will find tenderness Italian jasmine and rose. In the loop you feel sweet smells of white musk, vanilla bourbon, light vetiver and patchouli. It spirits created by perfumer Jacques Polge specifically for women. Spirits belong to the group chypre floral scents. Coco Mademoiselle was released under the brand Chanel in 2001. Fragrance contains notes of bergamot, orange, mandarin and orange blossom. In the heart of track were laid notes of mimosa, jasmine, Turkish rose and ylang-ylang. Notes of tonka beans, patchouli, opoponax, vanilla, vetiver and white musk shimmer in the loop. Selecting this scent, you can not go wrong, because he was awarded the FiFi Award Best National Advertising Campaign / TV 2008. 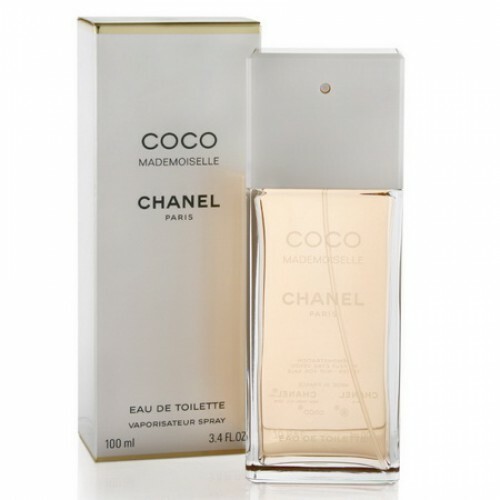 Perfume Coco Mademoiselle fragrance is specific only for exceptional and rare occasion. It is appropriate for women who profess rather elegant style. Suitable for evening occasions, such as a romantic dinner, theater or dance. Just apply a little bit of perfume and you'll be surprised herself how to change your undivided evening outfit and you will shine for miles.